How does climate change impact the environment? How does climate influence the lives of people? What is the importance of culture? Throughout “The Culture of Climate Change” expedition, MVA students study the connection between culture and climate change. Specifically, during social studies, students build their background knowledge about Ojibwe cultures and traditions utilizing class activities and the G’WOW Lifeways Curriculum. Throughout this case study, students learn how cultural practices connect to the environment before moving on to additional case studies that investigate the changes that have taken place in world climate regions and what our country is doing to adapt to and mitigate the effects of climate change. Reading class also provides an avenue for MVA students to examine impacts of climate change on culture; however, students view climate through a global lens as they examine climate witness stories from around the world and determine the impact the changing climate has on other cultures and lives. During this investigation, students compare scientific reviews to climate witness stories and establish text credibility before they create a climate collage and Haiku poem to share the stories of their witnesses. In computer applications, students zoom in from thinking globally about climate and focus their work on what individuals can do to mitigate climate change. Students use the principles of design from computer applications and background knowledge from content area classes to create “I can change the climate by…” posters. Work continues in science where students learn about the science of climate and investigate climate change at the local and global level. Using G’WOW, Wisconsin Department of Natural Resources Climate Change Curriculum, and WICCI (Wisconsin Initiative on Climate Change Impacts) data to support science curriculum, students determine whether scientific evidence supports traditional ecological knowledge (TEK) about a climate-linked tradition they participate in with their family. Students use this information to draw a conclusion about whether science agrees with TEK which leads to drafting an argument in writing class that evaluates whether their tradition will be impacted by climate change. Student climate arguments grow into the expedition’s final product: “My Climate Stories.” “My Climate Stories” are student-produced documentaries that students craft at the end of the expedition. The documentaries meld personal narratives about a climate tradition students identify as an “asset” in their culture and the climate argument they write after learning about climate at the local and state level in science. The documentaries are our students’ service learning project for the expedition and are shared at a community-wide celebration of learning. The 2015 Culture of Climate Celebration of Learning was held at University of Wisconsin – Marathon County. Fieldwork embedded in “The Culture of Climate Change” includes bi-weekly phenology journaling in the prairie gardens outside our school and at Coastal Climate Camp at the Apostle Islands National Lakeshore and Northern Great Lakes Visitor Center. 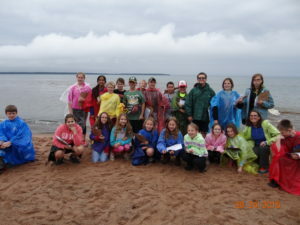 Coastal Climate Camp is an overnight camping trip where students experience first-hand how climate change is affecting Lake Superior, the Bad River and Red Cliff cultural traditions, and the aquatic ecosystems in our state. At Coastal Climate Camp students work with our experts for two days and experience learning that will last a lifetime. To implement expeditions like “The Culture of Climate Change,” MVA staff continuously strive to learn a multitude of ways to provide relevant, engaging, and active based curriculum for students. While our school operates with a similar budget to most public schools, we actively seek and write grants to support fieldwork and products for our expeditions. 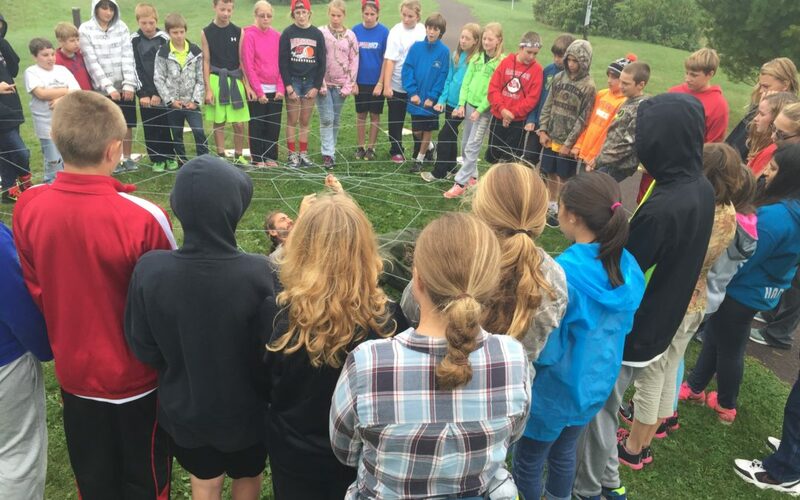 The Wisconsin Environmental Education Board, G’WOW, and Project Connect awarded MVA with grants in 2015 to support Coastal Climate Camp and other opportunities for our kids. A shift in thinking about climate change-related topics has occurred since this expedition was first taught, requiring teachers to adjust topics and find current, reliable resources for students to utilize. Furthermore, we have had parents or members of the community question the teaching of climate change. In our conversations with these stakeholders, we explain how the content we provide connects to current standards and openly share the resources that support the content we teach. Perhaps the greatest beauty of the entire expedition is that our students regularly go home and talk with their parents about what they are learning. It has been interesting to hear the conversations in the community, and to see our students engage in meaningful discussions outside the school walls; discussions that many students are better educated on than the general population. Gina Smith is from Beaver Dam, Wisconsin. She graduated from the University of Minnesota Duluth with degrees in Life, Earth, & Middle School Science. She has also completed necessary steps to become licensed in the other core disciplines at the middle school level. She taught science for 7 years in Minnesota before taking a leave of absence to stay home with her children. Gina returned to teaching full-time at MVA in 2013. She loves working with the youth in Marathon, especially at the middle school level. Gina enjoys staying active and spending time outdoors with her husband and two children. Tera Fieri has a BS degree in Elementary and Middle School Education with an emphasis in Mathematics from Northland College. Tera has taught on the east coast, in northern Wisconsin, and in central Wisconsin for a total of 12 years. She has been active in attending and mentoring with the G’WOW Institute at the Northern Great Lakes Visitors Center for the last 5 years. Tera has presented MVA’s Climate Change Expedition at the Green Schools National Conference, the Midwest Environmental Education Conference, and the Chicago Botanic Garden. Tera is native to Tomahawk, but now resides with her husband and two kids in the Marathon community. They enjoy traveling, camping, kayaking, hiking, and spending time with friends and family.